-If you are still at the filling station, DON’T turn your car on. If you have turned on your vehicle, turn it off. Contact Wrong Fuel Angels. -Our team will advise you on what to do to help minimise the damage whilst our technicians are on the way. -Relax as you know help is on the way. -Remember you are not alone, missfuelling happens once per minute. Statistically one in two people know someone who has missfuelled. -Call one of our professional technicians today to help you remove the wrong fuel from your car. -We provide 24 hours National Coverage. -We provide roadside or forecourt assistance. -We are fully insured and certified. -We are efficient, reputable and affordable. -Our technicians will arrive promptly on the scene. -We save our clients time and money in repairs. -We will drain and flush your system. -We will remove both Petrol in Diesel or Diesel in Petrol. I have just put the wrong type of fuel in my car should I be worried? Do not stress, Wrong Fuel Angel is here for you. Our team of technicians are trained to drain the wrong fuel from your car and get you back on the road as soon as possible. Whether it is diesel in petrol or petrol in diesel, we will attend to you regardless of whether you are still at the filling station or you have driven your car for a distance with the wrong fuel. Our fuel drain solution ensures that the wrong fuel is drained from your car and disposed of appropriately according to the requirements of the environmental agencies. Our expertise is not limited to any type of vehicle and our wrong fuel solution can cater to trucks, vans and cars. Call us now and enjoy our wrong fuel solution that will save you time and money. 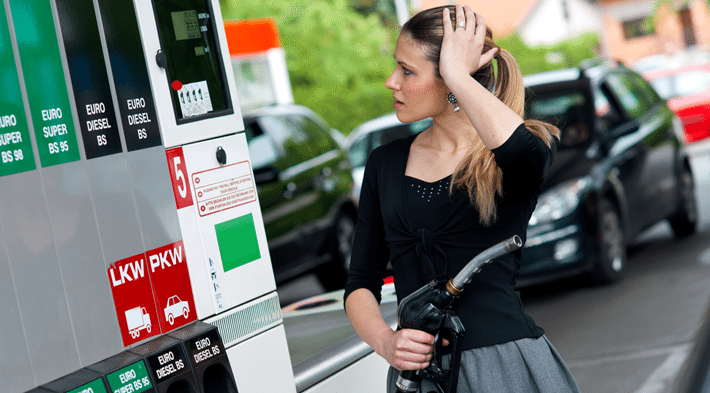 In case you have put the wrong fuel in your car’s fuel tank, do not panic or feel embarrassed. Remember that you are only one amongst 300,000 other drivers who put the wrong fuel in every year. Basically, there is a driver with a wrong fuel problem every one minute. Rather than joining those who worry about the problem, let Wrong Fuel Angels take away your stress and get you back on the road. We will do all the hard work for you. The only things left for you todo is to leave your vehicle off when you realise that you have put the wrong fuel in your car and know that help is on the way. If you have turned your vehicle on, the wrong fuel could potentially circulate the system and result in damage so please turn the vehicle off. In case you have left the filling station without realising your wrong fuel problem, chances are your car will start losing power and misfiring at some point. Once you have realised the error, if it is safe to do so turn off the vehicle immediately and call Wrong Fuel Angels. We will give you advice on what to do as we dispatch a technician to attend to your car. It is important that you call immediately and not attempt to drive the vehicle with the wrong fuel so as to limit potential damage to your car. Stay calm as you wait. We are here for you! We understand that every single journey is important to you, and once we have your location, a technician will be dispatched immediately or at a time of your choosing. You will be contacted by the technician with updates on their journey so you know they are in route to yourself. With that assurance, you should be able to sit back and relax knowing you will have a dedicated technician who will be working on your wrong fuel problem. To put your mind at ease our technicians will explain the work that they are carrying out so as to give you a better understanding of how they will fully drain your vehicle. Please follow any instructions as they take you through the necessary steps of draining the wrong fuel from your car’s engine. Rest assured that we do not compromise on your safety and we will always do our best to ensure that you are back on the road within the shortest time possible. Call us now and we will send a wrong fuel technician to you location. Our engineer will start by draining the wrong fuel from your car’s fuel tank ensuring that all the wrong fuel is completely removed. After removing the wrong fuel from the tank, our technician will then move to other parts of the engine that might have been fed with the wrong fuel and drain them appropriately. These parts may include the injectors, fuel lines, fuel filter and fuel rail. The technician will ensure that all contaminated fuel is removed from those parts. The technician will then add fresh fuel to your vehicles fuel tank and feed it through your system. The technician can bring you any amount of the correct fuel (up to £30) that you wish however the technician will need £10 worth of the correct fuel to be able to start and run your vehicle for an appropriate period of time. Our fuel is supplied at cost with no mark up to our customers. Note that our technician will be the one to start your car after the wrong fuel correction. The technician will leave your car running as he/she checks the fuel system to ensure that it is functioning as it should. The checks will involve examining the fuel system to ensure the system is fully primed and bleed and ensure the system has not retained air bubbles during the extraction of the wrong fuel Once our technician has verified that your car is running as it should, you may proceed with your journey. We offer a 24 hr fuel drain service that you can access online or by calling. Our NO START NO FEE GUARANTEE* will give you peace of mind that we will get to you and get you back on the road in the shortest time possible. We aim to give the best customer service possible and we only hire highly trained technicians who always put your safety and the safety of your vehicle first. We offer a quick response service as we know how important your time is and we value you as our trusted customer. Our technician takes as short as 20 minutes to drain the wrong fuel from your car’s tank. Our expertise is not limited to any particular type of vehicle. We offer wrong fuel solution to all types of vehicles ranging from trucks and coaches to cars and vans. We also deal with diesel and petrol engines. Our fully equipped vehicles have the latest technology in wrong fuel drainage and you can rest assured that the wrong fuel will be drained as fast as possible without compromising quality or safety. Ultimately, you get to save money. Our trade prices are fixed at £95 + vat and our pricing for the public is subject to location. Our commercial rates are very competitive and we believe that we have the best prices that wont be beaten elsewhere. We work with local depots to dispose of contaminated wrong fuel in a safe and environmentally friendly manner. We only employ experienced wrong fuel specialists with full qualifications and Safety Pass Alliance (SPA) accreditation. Wrong Fuel Angel has dedicated vehicles equipped with fuel draining units that have a UN certified tank capacity of 300 litres. 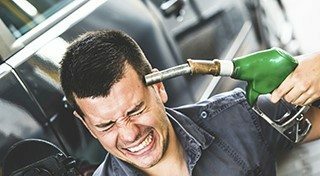 Have You Put The Wrong Fuel in Car? We have a fleet of fully equipped vehicles that carry the latest mobile fuel drainage systems. Whether the problem is diesel in petrol or petrol in diesel, we’ll always drain your tank using the fastest and safest method. If you’ve added the wrong fuel, we’ll provide an average response time of fourty minutes. As it only takes twenty minutes to drain the fuel from your vehicle, we can have your vehicle running again inside one hour of contacting us so that you can continue with your journey. We dispose of contaminated materials at designated depots that adhere to Environmental Agency standards.